Disney’s The Lion King by Jon Favreau continues the director’s foray into pushing the boundaries of visual effects technology by reimagining the classic film in a completely photorealistic live-action, yet CG, aesthetic. Building off the pioneering Virtual Production methodologies from The Jungle Book, Favreau insisted on building a workflow revolving around using Virtual Reality to visualize and photograph the film. As Virtual Production Supervisor at MPC, I am responsible with the architecture of a production ready pipeline on-set implementing advanced real-time visualizations through game engines with deep integration into our facility’s previsualization and post-production infrastructure. 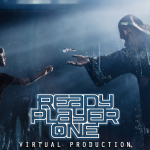 In collaboration with virtual reality studio Magnopus, we developed a unique form of virtual cinematography that seamlessly leverages motion capture and VR/AR technologies to engage directly with the director, cinematographer, production designer, and visual effects supervisor. I supervise a team of over 40 technical artists and developers in LA/London building digitally animated scenes for use on the virtual camera stage. In addition, my work extends to working with VFX producers, assistant directors, and production managers to maintain a reginmented shoot schedule. The Lion King is slated to release July 2019 and I look forward to sharing more here soon!